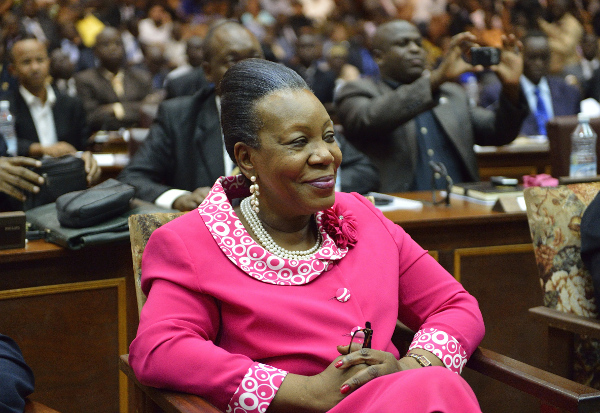 Catherine Samba Panza’s transitional government is likely to continue given the inevitable postponement of elections. Making an important step towards peace and stability in the Central African Republic (CAR), the signing of a disarmament agreement and a consensual ban on the use of child soldiers on 10 May shows some sign of progress as a monitoring committee was recently elected to ensure the implementation of the recommendations of the Bangui Forum, a national reconciliation dialogue held in CAR’s capital. Presided over by Abdoulaye Bathily, Special Representative of the UN Secretary-General, the Forum focused on security, locally-centered peace initiatives, judicial reform and economic recovery. Some of the resolutions produced offer potential relief for the impoverished, conflict-torn nation. But, despite some promise, CAR’s repetitive history of conflict, dialogue and more conflict since 1980 puts a damper on hopes that the Forum’s demobilization accord (signed by at least ten rebel groups) will yield better results. Already, initial reactions of displeasure and resistance from some of CAR’s rebels is creating uncertainty over the success of the disarmament, demobilization, repatriation and reintegration (DDRR) of roughly 8,000 rebel fighters. A deal that could see eligible fighters of the northern-based ex-Seleka rebel coalition and anti-balaka vigilantes disarming and being drafted into the army, gendarmarie, police and as forest rangers offers some prospect of legitimate employment, albeit low-paying, for militias who have resorted to banditry as a source of income, but many remain unhappy. Contentiously, the Forum had suggested that since the current political climate is not conducive for the planned 2015 presidential and parliamentary elections and the electoral commission remains underfunded and unprepared, President Catherine Samba-Panza’s rule should continue. Though a necessary move, given that the UN recently announced a further postponement of polls, while Samba-Panza only just met the major election and DDRR funders from the European Union in Belgium and France, the decision has not been welcomed by all of CAR’s militias. Non-signatories to the DDRR accord have threatened not to disarm or accept the caretaker government’s recommended prolongation. On the last day of the Forum, sworn rivals, the ex-Seleka, a previously united militia of the north-east and the anti-balaka vigilantes, banded together in protest demanding the unconditional release of their imprisoned rebel comrades and an end to the transitional government. How far the disaffection and threats could go is unclear, but against the current rebels record of broken peace pacts and CAR’s scarred past of unending battles, the proposed DDRR might not be such a smooth process. Voices of discontent have also come from the north-west, with former Séléka leader, Franí§ois Ndjadder, who now leads the minor Revolutionary Forces for Democracy (FDP), warning that he and his troops will march on the capital if Samba-Panza does not step down. Another indignant, small politico-militia movement, the pro-anti-balaka Democratic Front for the Progress of the Central African People (FDPC) accuses the government of playing politics to maintain its power. The FDPC may feel aggrieved, but they too have maintained their grip on the north-western borderlands by frequently using violence to extort, raid and displace villagers into neighbouring Cameroon. Uninvited warlords in exile and on the run from the International Criminal Court (ICC), former rebel presidents, Franí§ois Bozizé and Michel Djotodia – the leader of a belligerent faction of the northern-based ex- Séléka coalition – were looking to make a political comeback at the Bangui Forum, but they were not allocated places. Although a representative of Djotodia’s Popular Front for the Central African Renaissance (FPRC) signed the disarmament agreement, the rebels-turned-political party has rejected the signatory saying that it is invalid because the FPRC had suspended Abel Balenguele on 10 May, the same date the agreement was signed. The movement rejects the terms of the deal and has thus withdrawn its participation from the proposed DDRR program. Opposed to the transitional government’s continuation, the FPRC demand presidential polls, accusing the President of trying to hold onto power. Appointed in February 2014 Samba-Panza’s transitional administration has helped bring limited order to a country overrun by the Séléka rebels after the overthrow of President Franí§ois Bozizé in March 2013. With significant help from French and African peacekeepers, some level of normality has been restored after a political conflict escalated into a horrifying sectarian battle. Credited with overseeing the recovery of CAR, under the National Transition Council (CNT), the fighting which flared up in 2013 has subsided and humanitarian aid has generously flowed into the country to help alleviate a severe crisis. CAR is perhaps (very) slowly on the mend and the UN peacekeeping mission, MINUSCA, is preparing to carry out a national community-based DDRR that will repatriate eligible foreign fighters and offer ex-combatants a work-skills program. However, it all crucially depends on funding and the rebels’ willingness to participate. In past conflict settlements, DDRR approaches have been shaped by the government’s policy towards ex-fighters and the lack of political will from the Bozizé administration, for example, was a crucial reason disarmament failed after the 2003 coup and 2004-2011 Bush War. The 2008 Libreville Agreement aimed at ending the northern Bush War between the army and Djotodia’s militias was later followed by a two week Inclusive Political Dialogue that had little planning input from the rebels. The resultant demobilization program provided support to over 7,500 ex-combatants, but the majority of the disarmed were in Bangui and some scholars doubt the actual implementation of many community reintegration projects. Security sector reform proposed during the 2008 dialogue did not take place and the lack of reintegration of northern rebels who formed the Séléka remained a sore-point during 2013’s Libreville Agreement discussions. Thus far over 350 child soldiers have been released from the camps of the anti-balaka and Séléka as agreed, but controversy over the Bangui Forum’s organization and the transition’s prolongation inevitably stalk the DDRR agreement. In reiterating government’s rejection of the controversial amnesty-awarding Nairobi Agreement signed in Kenya between Bozizé and Djotodia in February 2015, at the Forum, Samba-Panza refused to consider an amnesty, stating a desire to ensure justice for victims. However, the belief that pardons could be granted was a motive for some combatants signing the peace and disarmament commitments and the denial of amnesty as well as the exclusion of those accused of war crimes as ineligible for DDRR, is likely to impact negatively on the CNT’s future negotiations with the armed movements. With the prime perpetrators watching from the margins and others angered by the transition’s prolongation, hopes for the successful demobilization of CAR’s hotspots in the capital as well as the eastern and western frontiers, are not blithely optimistic. However, the CNT should consider addressing some of the rebels’ grievances or rumblings of discontent may later come to haunt Samba-Panza’s transition and its elected successor. Tendai Marima is a freelance journalist and academic researcher in Southern Africa. Follow her on Twitter @i_amten.